Cirque du Soleil. Nightclubs. ONE PIECE. Olympians. Red Carpets. Electric Daisy Carnival. Film. Commercials. Music Videos. Jez Roth started sewing at the age of 13 on small crafts and at the local dance studio before falling in love with the art of cosplay at Katsucon 1998. After many years of competing at anime convention masquerades winning Best in Show 15 times with tailored costumes and heavily choreographed skits, he moved to Las Vegas to work for The Venetian designing the Opera Gowns, eventually landing at Cirque du Soleil’s water spectacular O. 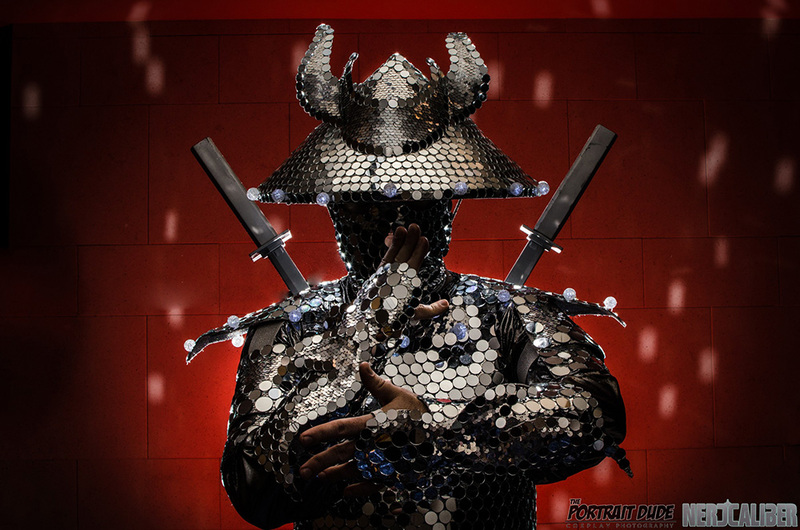 Since leaving Cirque, he currently works freelance out of his own studio – creating everything from mermaids that shoot water, Mirrorball Men, and Golden Fairies that contort through the air, designing for events with A-list celebrities such as Kim Kardiashian, Eva Langoria, Snoop Dogg, and DJs such as Benny Benassi, Dash Berlin – his jewelry has even been worn on the red carpet at the Billboard Awards. He has traveled as far as Japan as a cosplay guest and represented the United States at the IOEA Otaku Expo in Japan and Canada to choose the Canadian WCS representative. He believes that the world of costuming is an endlessly fascinating pursuit – from armor to gowns, giant puppetry to monsters. He shares unique events that educate and involve the community,(such as Lip Sync For Your Cosplay and PROJECT: Cosplay!) and has restructured and organized cosplay events for conventions in his goal to make the competition scene more streamlined. His artistic journey came full circle last year when hired as an Artistic Consultant for One Piece: Gold film, working with Toei Animation to give their film a fully realized Las Vegas feel. Recently in 2019 he was hired by Right Stuf Anime to create the Official Brand Costumes for the animes Aria and Emma. TL;DR—Lip Sync for Your Cosplay is here. Get ready to werk!